Brin Edwards. in wanting to underline the world-wide nature of the Association of Lancia Clubs. has invited the Australian Lancia Register to provide an editorial for this issue of the Newsheet. In the next 40 lines, or so, I hope I can tell you a little about our group and some thoughts about our common passion. The Australian Lancia Register was formed in 1970, in preparation for celebrations of the Lambda's 50th Birthday. 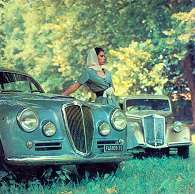 The Lambda is particularly significant in the Australian Lancia scene with some 450 being sold new in the country, of which well over 100 survive today. The Register's major event is the biennial Castlemaine Rally, held in October of the odd years. This event attracts well over 100 Lancia's with most models from the Kappa through to the Beta being represented. In addition to running the Castlemaine rallies, the Register publishes a Newsheet five or six times a year. We do not hold monthly meetings etc., because our membership of over 300 is scattered across a country about the size of central Europe. Instead, members keep in touch through informal local networks, state clubs in Queensland and New South Wales, or with distant members with similar models. We also have some 30 overseas members. Despite the large number of Lambda's sold in Australia, sales of subsequent models were relatively small. but thanks to a dry climate and a national tendency to keep cars running for a long time. we still have a good representation of models up to and including the Beta range. 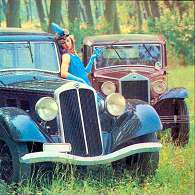 Sales of new Lancia's ceased in 1984, but a few of the more exciting models, such as the Delta Integrales, continue to be imported privately. One complication is that it is not possible to register (license) left hand drive cars in the main states. The Register continues as it started, as a small, informal group of people brought and held together by a common admiration for the products of the Lancia factory. We salute the initiative of Brin Edwards in forming the Association of Lancia Clubs and see it playing a valuable role in facilitating co-operation and friendship among Lancia enthusiasts right around the world. Finally I thank the non-native English speakers for your sufferance and particularly anyone brave enough to attempt a translation for use in other club publications.